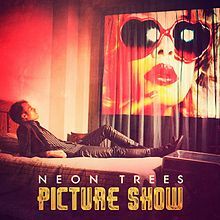 Picture Show is the second studio album by Neon Trees. The lead single, “Everybody Talks”, was released on December 20, 2011, and the album was released on April 17, 2012. The music video for “Everybody Talks” was released on March 8, 2012. The album was produced by Justin Meldal-Johnsen, mixed by Billy Bush and engineered by Billy Bush and Greg Collins. It was mastered by Joe LaPorta. “Everybody Talks” was used in the Homeland episode “Q&A”. The episode aired on October 28, 2012. “Moving in the Dark” was used in the NCIS episode “Namesake”. The episode aired on October 30, 2012.